Rio Salado College has created a new online orientation class to prepare new students for higher learning. New Student Orientation (NSO101) is a free, non-credit class that students can complete in less than 2 hours. The class helps students become familiar with RSC's programs, services, and processes. The last of three short lessons in the class acquaints students with RioLearn, the online classroom environment used at RSC. New and continuing Rio Salado students as well as those who are coming to RSC from another college, are encouraged to take NSO 101. Make the most of your RSC experience and learn the inside scoop on your college. 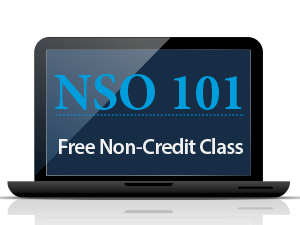 Learn more about NSO101 by visiting StartatRio.com.